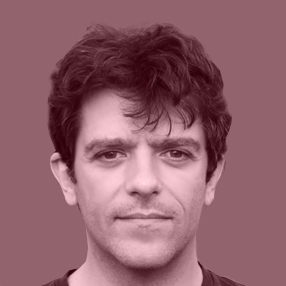 Aristofanis Soulikias is an architect and film animator. He is a PhD student at Concordia University, in the Individualized Program (INDI), under the supervision of Dr. Carmela Cucuzzella, Dr. Cynthia Hammond and Prof. Luigi Allemano, pursuing an interdisciplinary research-creation study with the title: Architecture and Film Animation: Visualizing and educating on the built environment through stop-motion and under-camera techniques, which aims at examining how Architecture and Film Animation can inform each other and evolve with the use of traditional stop-motion techniques that have re-emerged, owing to adapted digital technologies, as to engage citizens with their urban built environment and its intangible realms. His B.Sc in Architecture and a B.Arch from McGill University were followed by a period of professional conservation work on Mediaeval and Post-Mediaeval monuments in Greece which, in turn, led to a scholarship by the Hellenic Society for the Environment and Cultural Heritage towards an MA in Conservation Studies at the Archaeology Department of the University of York, UK, completed in 2010. After a two-year fellowship at the Prince’s Foundation in London, UK, where he worked and received training on sustainable urbanism, Aristofanis returned to his native Montreal to learn the craft of film animation at the Mel Hoppenheim School of Cinema of Concordia University, where he completed a BFA with distinction. His graduation film Last Dance on the Main, an animated documentary on the perilous state of Montreal’s built heritage and social fabric was selected by TIFF’s Canada’s Top Ten for the year 2014, and won four awards in international festivals. That same year he received the Mel Hoppenheim’s Emru Townsend award in Film Animation.